Adds vertical lines at each indent level. Looking for Visual Studio 2017? 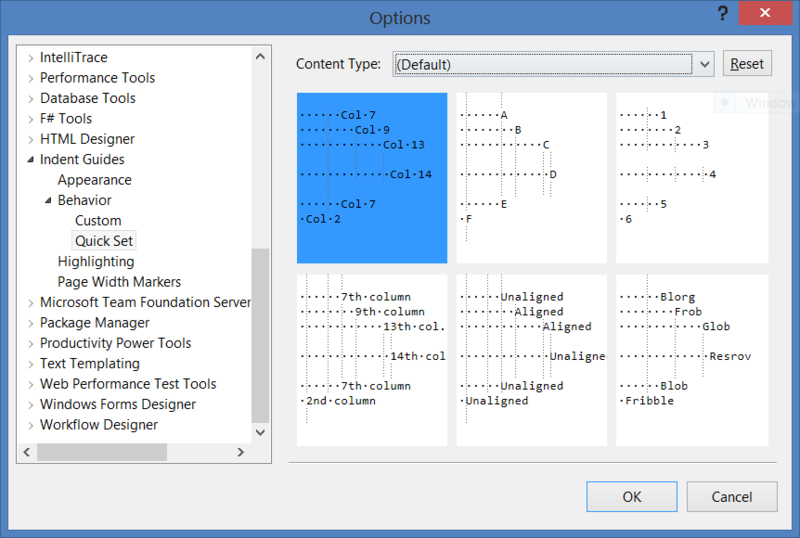 Looking for Visual Studio 2010-12? 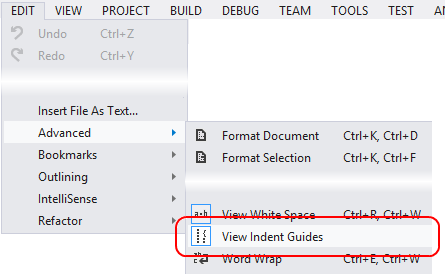 Ensure the View Indent Guides menu is selected. 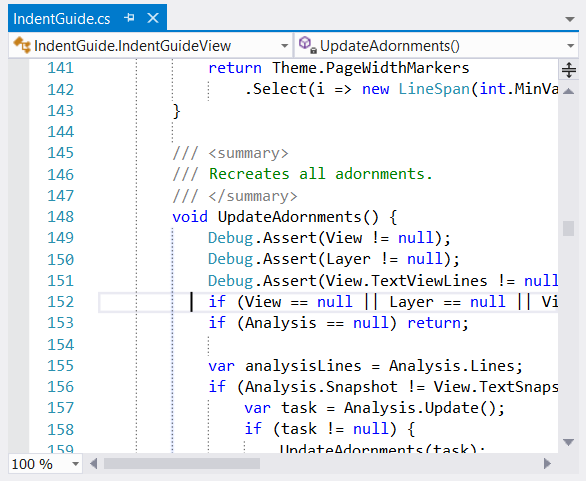 Displays indent and page width guides in Visual Studio text editor windows. Guides can be displayed at the indent specified in your settings, regardless of tabs or spaces, or wherever text has been indented to. Page width markers can be displayed at a fixed location and will change color when code extends past them. There are three styles of guides: solid, dotted and dashed, available in thin and thick varieties and customizable color. The default is dotted grey, as shown in the image. Each indent level can have a different style and color. Guides can be shown and customized for any language in Visual Studio. The extension understands whitespace characters, not code.